After spending many hours brushing, researching and reading, we have our picks for the best dog toothpaste including the overall best item, top pick for tartar control, for all-natural toothpaste, for enzymatic toothpaste and some amazing alternatives. Let’s be honest – no dog likes to have his teeth brushed, even when you use the best dog toothpaste to accomplish this. However, a really good toothpaste for dogs can help with, and ease the process. I chose Sentry Petrodex Enymatic Toothpaste for dogs as my number one selection in this round-up (read my review below on why). Its poultry flavor entices your dog, and it is specifically formulated for pets. It helps to reduce tartar and plaque buildup and fights bad breath. I also like that this canine toothpaste is made in the United States, which compared to some other brands made in China, brings a little trust in Sentry Petrodex's toothpaste products. What do I know about dog toothpastes? Can a good toothpaste improve my dog’s health? Who should buy dog toothpaste? Some dogs may tolerate having their teeth brushed, but I’ve yet to see a canine that actually enjoys the process of oral grooming. If you have a puppy or an adult dog that will tolerate you working with his mouth, you can use the best dog toothpaste and the best dog toothbrush to gently ease him into letting you clean your dog's teeth. Anything that you can do to help prevent tartar and plaque buildup in dogs will pay off in the long run. According to the American Veterinary Dental College (AVDC) , periodontal disease is the most common clinical condition that occurs in adult dogs, and it is 100% preventable. The AVDC says that by age three, most dogs have some evidence of periodontal disease. Bad breath is the most noticeable sign, but unfortunately most owners just assume all dogs have bad breath and they aren’t concerned with it. Why dog's dental hygiene is important? Keeping up with your dog’s oral hygiene at home will make a tremendous difference in his overall health and comfort. Keep in mind that you need to put continuous effort into canine oral hygiene. In order to make sure your dog is comfortable you’ll need to brush his teeth on a regular basis so he is used to the procedure. Occasional dog teeth brushing won’t really benefit your dog in the long run. You need to make the effort to brush your pet’s teeth regularly in order to provide the greatest health benefits. Poor dental hygiene can affect your dog’s entire body – not just his mouth. Damage inside his mouth will include destruction to and loss of gum tissue, and the bone around his teeth, development of a hole (known as a fistula) leading from the oral cavity to the nasal passage causing excessive nasal discharge, bone infection (known as osteomyelitis), and fractures of the jaw after the jaw bone has been weakened. You should NEVER use toothpaste made for humans on your pet. The chemicals in it could be toxic to your dog. Bacteria in your dog's mouth. Bacteria will grow to astronomical numbers in your dog’s mouth if you don’t keep up with his dental hygiene. Those bacteria can enter the bloodstream and be carried all over the body. Studies have shown that periodontal disease in canines is associated with negative changes in dog's heart, kidneys and liver. One study even linked periodontal disease in dogs to the development of heart disease. There are many products on the market that say they will help care for your dog’s oral hygiene. There are chew toys, treats and even supplements that you add to your dog’s water. All of these things may help, yes, but the best way to keep up with your pet’s oral health needs is to brush his teeth on a regular basis. Ideally, you should brush them every day. Using a dog toothbrush and toothpaste will make your job much easier. If the toothpaste tastes and smells good to your dog, he will be more apt to let you put it in his mouth. Personally, I like spending a little extra to buy a good quality toothpaste that will benefit my dog’s general oral hygiene, not just his teeth, is also a must. In case Sentry Petrodex Enzymatic Toothpaste for Dogs isn't available, I would recommend a good alternative – Enzadent Pet Toothpaste. It contains Enzadent's triple enzyme system that is effective at removing plaque and preventing tartar buildup. 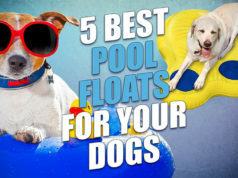 It doesn't foam, so you won't need to rinse your pet's mouth out, and it can be swallowed safely. It's palatable poultry flavor is received well by most pets, and it is made in Canada. I chose Sentry Petrodex Enzymatic Toothpaste for many reasons, the first of which is safety. As I mentioned, human toothpaste is not formulated for use with canines. We don’t swallow our toothpaste, but your dog does. Many human toothpastes contain fluoride, which is poisonous to dogs. Human toothpastes also contain additives and sudsing agents to make them foam while we brush, and these additives can cause your pet to develop liver damage. That’s not all, human toothpastes are also sweetened with xylitol . If you follow canine news at all, you know that xylitol poisoning in canines is a rather common issue. Ingesting this sugar substitute will cause a surge of insulin to be produced in your dog’s body followed by a sudden drop in blood sugar. Ingesting xylitol can be fatal for canines, and it can also cause severe liver disease. Of course, all these toothpastes are specifically formulated for pets. Sentry Petrodex Enzymatic toothpaste for dogs is a veterinary strength toothpaste that uses patented enzymes that work to control plaque, prevent tartar from forming and fight bad breath. It’s a non-foaming formula that doesn’t require rinsing – perfect for squirmy dogs that would not enjoy having a small glass of water dumped into their mouth. The formula produces hydrogen peroxide, which not only helps to clean your dog’s teeth, but it will leave them sparkling white with regular use. We’ve used other canine toothpastes in the past, and although some of them clean the teeth, they leave the yellow stains behind. What do other people say? Pet parents love this dog toothpaste. After a quick search on Amazon and other online retailers, with an abundance of customer reviews from dog owners who can’t get enough of this pet toothpaste. Many of these dog toothpaste reviews say that this canine toothpaste from Sentry came recommended by their veterinarian. There are also numerous reviews that state the dog’s vet was impressed by his oral health after switching to this toothpaste. Do you need help with brushing your dog's teeth using either one of these best toothpastes for dogs? Please see my video below for some quick, actionable and easy to understand advice on how to brush dog's teeth and let me know if you have any questions in the comments section below. Tartar begins life as plaque, a thin film of bacteria that covers the teeth. Plaque can easily be brushed off teeth, but in less than 36 hours it will begin to harden into tartar . Tartar in dogs cannot be removed as easily. If you allow tartar to build around your dog’s teeth for long periods of time without being checked, infection will begin to attack areas around the tooth’s root . This will lead to the destruction of the surrounding tissue and the bony sockets that hold the teeth in place. Tartar control is an essential aspect that you need to be looking for when you’re shopping for the best dog toothpaste. Nylabone Advanced Oral Care Tartar Control Toothpaste is made with Denta-C, a substance that is scientifically proven to reduce plaque, leaving less opportunity for tartar to form. It has a semi-sweet dog bone flavor to tempt your pet into giving it a try. It is made in a processing plant that also processes peanuts, so be mindful of that if your dog or anyone else in your home has a peanut allergy. This toothpaste from Nylabone is made in the United States, and most dog owners who have tried it like the way it cleans their pet’s teeth. Many multi-pet households use this toothpaste for both their cats and dogs, and Amazon reviewers have rated this doggy toothpaste highly with an abundance of customer reviews. The trend in the pet industry right now is 100% all-natural, healthy dog products. If you’re interested in an all-natural dog toothpaste, you can’t go wrong with KissAble All-Natural Toothpaste. This toothpaste is also made in the United States. It is safe to swallow and requires no rinsing. This all-natural dog toothpaste from Kissable Dog uses vanilla and tea tree oil to promote healthy gums. It is true that tea tree oil can be toxic to dogs, but in very small quantities it can also be extremely beneficial . There is a small amount of the substance in this toothpaste. Not enough to make your dog ill. In fact, no pet parents who have used this toothpaste have ever reported that their dog was poisoned by the tea tree oil. I was concerned that dogs may not like the vanilla flavor as much as the poultry flavor of the KissAble dog toothpaste, but consumers proved me wrong. Dog owners that used this product say their pets love it. It’s hard to find a reviewer who’s dog didn’t like the flavor. TEA TREE OIL HAS ANTISEPTIC AND ANTIFUNGAL PROPERTIES, AND IT LEAVES YOUR DOG’S BREATH SMELLING FRESH. This product is also made with tetrasodium and tetrapotassium phosphate that helps to reduce tartar build-up.In small quantities, tea tree oil can be very beneficial in the repairing of skin tissue. That’s why it works so well to heal and promote healthy gums. You can buy the doggy toothpaste itself on Amazon for about $7, but for about $10 you can get the KissAble Toothbrush and Toothpaste Combo Kit for Dogs. I would recommend going with the combo kit, as you get a finger toothbrush and a traditional toothbrush along with the toothpaste for just $3 more, and many Amazon customers seem to agree with this. Enzymatic toothpaste provides a natural antibacterial action and inhibits the formation of plaque. The natural enzymes also act quickly to help eliminate odors in the mouth. Virbac C.E.T. Enymatic Toothpaste is one of the most popular enzymatic canine toothpastes on the market. This pet toothpaste is made in the United States and comes in five flavors including: poultry, beef, malt, vanilla-mint and seafood. Enzymatic dog toothpastes work by dissolving deposits with a natural chemical reaction before they can harden into tartar . Many pet owners prefer to use enzymatic toothpastes for dogs instead of traditional canine toothpastes that use chemicals and artificial ingredients to dissolve the plaque buildup on teeth. It’s nice that this brand offers so many flavors, so you can find the one that entices your pet the most. This doggy toothpaste from Virbac does state that it is for veterinary use only, but many dog owners use it during their home dog grooming. You should speak with your veterinarian before trying this toothpaste. They know your dog’s specific needs, so they will either encourage you to use it or suggest a more suitable toothpaste for your pet. Take a look at what Amazon customers have also said about this doggy toothpaste and what pros and cons are there to using this specific product. Poor oral health can quickly lead to gum disease, and gum disease means that your dog will be suffering with enflamed, swollen gums that will cause him a lot of pain. Dogs who have gum disease may experience discomfort while doing everyday tasks including eating, playing fetch and chewing on their toys. Researchers are currently looking for a way to treat canine gum disease , but until then brushing your pet’s teeth on a regular basis is the best way to combat it. The best toothpaste for dogs who already suffer from gum disease is ProDental Pet Dental Gel from Top Performance. It contains soothing aloe vera to help relieve minor gum irritation. This product also cleans your dog’s teeth and helps to freshen his breath with its natural baking soda formula. The non-toxic formula can be used without rinsing, and although it is a gel it can be used just like traditional toothpaste with a dog toothbrush or finger brush. One thing some consumers seemed concerned about, according to several reviews of this product, was the inclusion of propylene glycol on the ingredients list of this canine toothpaste. Although the chemical is approved by the FDA and is included in many products for humans, the concern is that it is also a chemical found in many antifreeze formulas . With such a small amount being included in this toothpaste from Top Performance, it won’t harm your dog. However, if you have concerns, it is best to consult with your veterinarian before trying it. Enzymatic toothpaste works naturally to remove plaque and prevent the formation of tartar buildup on your pet's teeth. Sentry Petrodex Enzymatic Toothpaste is the best option for keeping your dog's oral health in good shape. It will clean his teeth, promote gum health and keep your pet's breath smelling fresh. What do I know about dog toothpaste? Can dog toothpaste improve my dog’s health? Before buying any of the products on this list of the best dog toothpaste options, you need to understand what you should be looking for. The first thing you must remember is not to ever use toothpaste intended for humans on your dog’s teeth. Human toothpaste is not meant for swallowing, and your pet is sure to swallow whatever you put in his mouth. You need to be conscious of the ingredients in the toothpaste that you plan to purchase as well. If there is an ingredient that you have questions about, like tea tree oil or propylene glycol, do some research or ask your veterinarian about them. Stay away from toothpastes that are abrasive or made with artificial sweeteners or alcohol. Never give your dog any product if you have questions about the ingredients it is made with. If you’re trying a new doggy toothpaste, be sure to buy a small tube first. 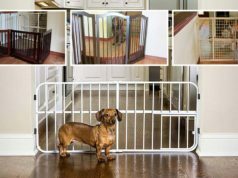 This will save you money in the long run if your dog doesn’t like it or if it doesn’t work as well as it says it should. If your dog likes a particular flavor, try to find the dog toothpaste in that flavor. Some, like the Virbac C.E.T. Enymatic Toothpaste, come in a wide variety of flavors. Honestly, more than you’d probably think. I just started brushing my dogs’ teeth about three years ago when we got Chloe. Chloe is our boxer. She is a rescue, and when we adopted her at three years old most of her teeth were already broken and she already had mild periodontal disease. Chloe also has a heart condition that requires her to take antiarrhythmic medication multiple times each day. Because of her heart condition, Chloe cannot be put under anesthesia to have her teeth pulled, cleaned, or have any dental work done. Because poor dental health can cause heart trouble, we need to be especially diligent about caring for Chloe’s mouth and teeth. Needless to say, we’ve consulted with numerous veterinarians about how to best care for Chloe’s teeth , and we’ve tried about every one of these toothpastes on the market. For us it’s no question that Sentry Petrodex Enzymatic Toothpaste is the best. There are other great products on the market, but our dogs love the poultry flavor, and this toothpaste works wonderfully to keep their teeth clean and improve the overall health of their mouths. It should be pretty obvious by now – but let me explain further. A doggy toothpaste can unquestionably improve your pet’s health. The absolute best way to promote and maintain oral health is by brushing your dog’s teeth daily. Even if you only have the chance to do it three or four times per week, it will vastly improve your dog’s health and comfort. As I mentioned previously, poor oral health can cause a plethora of health issues for your dog. If the bacteria in your pet’s mouth are left to fester and multiple, eventually they can get into his bloodstream and cause problems with his organs. Poor oral hygiene will also cause bad breath and a lot of discomfort in your dog’s mouth, making it difficult for him to eat his food or play with his toys. I understand that some dogs just will not let their owners care for their teeth. If your dog becomes aggressive when you try to clean his teeth, you should not even attempt it. If this is the case with your dog, you need to consult with your veterinarian to discuss having his dental work done by a professional and all the other products that you can try to compensate for not being able to brush. There are other products that you can use to help keep up with your dog’s oral hygiene, but nothing works as well as brushing. There are additives that you can put in your pet’s water that help to break up plaque and tartar. You can buy treats and chew toys that are specifically designed to help clean your pet’s teeth and promote good oral hygiene. AS I SAID, THERE ARE NO PRODUCTS AVAILABLE THAT WILL IMPROVE YOUR PET’S ORAL HYGIENE AS WELL AS REGULAR BRUSHING. Ideally, every dog owner should buy dog toothpaste. Unfortunately, not every dog will allow for his teeth to be cared for – at least not while he is awake. If your dog is aggressive or you believe there is a chance he may become aggressive, it would be best not to even try working with his mouth. Because you will be close to his mouth and your face will need to be down near his mouth to see his teeth, you need to be extra cautious. Don’t take any chances. Not all dogs are happy about having their teeth brushed at first, but you can introduce dental care in a way that will gradually help him get used to it . If your dog lets you, this is definitely the best option as it will make your dog happier and healthier, and it will also save you money on dental care in the future. Believe it or not, it really wasn’t that difficult. You’d be surprised at how few top quality dog toothpastes there are available to pet parents. I was actually quite disappointed in the selection. In all of my research I kept coming across the same brands over and over. It actually was quite simple to weed out the poorer quality options just by looking at their ingredients. Many of the canine toothpastes that I researched were made with abrasive chemicals that would probably remove the plaque and tartar from your dog’s teeth, but they would end up doing more harm than good. I also found some canine toothpastes that seemed to work well for pet parents, but they were full of harmful chemicals. I knew that the products that I selected for this list would need to be healthy and safe for all dogs. They would also need to do exactly what they were supposed to. They would need to help remove plaque and tartar and promote overall oral health, including getting rid of bad breath. I had to choose the best dog toothpastes that were tasty for dogs and worked well for dog owners. All of my research was performed online. As you know, there is a lot of unreliable information out there on the internet. I needed to be sure that my information was coming from trusted, reliable sources. I read information from manufactures websites, articles and blogs from experts in the pet health industry, and culled through consumer reviews. Because of all of our issues with Chloe, I knew what the important qualities were to look for in a top-notch dog toothpaste. I started by looking through information shared by other pet health professionals to see what they recommended as the best dog toothpaste brands. Once I had a list of products that were safe for pets and offered all the qualities that pet owners would need, I went to the consumers. I needed to hear the feedback from dog owners who had actually tried these products. Unfortunately, not all veterinarians offer recommendations based on what they actually believe to be the best product. They endorse products because they are compensated by the manufacturer. Although this isn’t true for all veterinarians, I needed to find out from concerned pet parents which products they found were actually the best after they had tested them. I wasn’t surprised to find out that overall the products that were most highly recommended by vets were also the ones that worked best in the field. The nice thing about dog toothpaste is that your options don’t vary much based on your dog’s size, age or breed. Many pet parents left reviews for products that they had been using for years with great results. With Chloe’s condition, we needed to find a good toothpaste for dogs. We tested about 10 different products, but each time we kept coming back to Sentry Petrodex Enzymatic Toothpaste. The most important thing for me is that Chloe liked it, and I’m sure most other pet owners would agree with that. Chloe loves the flavor. She’d lick it out of the tube as a treat if I would let her. Also, the texture of the toothpaste wasn’t gritty. I wasn’t sure about Chloe, but I know I wouldn’t like something gritty being rubbed all over my teeth. The texture was great and Chloe liked the flavor. But did the product actually work? Yes! It was amazing. Chloe had noticeable tartar buildup on the bottom of her teeth, and within just a few short days of using this toothpaste from Sentry it was markedly shrinking. I used this dog toothpaste twice a day for the first month that we had Chloe because her teeth were so bad, so the results would probably take longer to notice if you weren’t using it as often. Not only did Sentry Petrodex Enzymatic Toothpaste for Dogs help get rid of the plaque and tartar buildup on Chloe’s teeth, it has been helping us maintain her oral health for years! The only thing I will say is that Chloe’s breath still isn’t very good. Honestly, I think the toothpaste helps, but her dental hygiene was so poor when we adopted her that her breath will never be normal. The best thing about enzymatic toothpaste is that it works with the natural power of enzymes. I don’t have to worry about harsh chemicals hurting her teeth, irritating her gums or making her sick when using Sentry Petrodex Enzymatic Toothpaste for Dogs. I was able to find quite a few dog toothpaste brands that were made in the U.S. That’s very important to me as well. Our family tries to buy as many American made products as possible. I’d say everyone, but there are a few negative reviews out there on the internet. I mean, if you look hard enough you can find negative reviews about anything, right? At the time that I wrote this article, over 740 buyers have reviewed it on Amazon, and it is currently holding a 4.7 out of 5 star review. In general, pet owners really love this product. Dog and cat owners rave about its effectiveness, and there were even a couple of reviews from ferret owners that used it and enjoyed it. This is a great toothpaste to have on hand if you have a multi-pet household. It was recommended to us by our veterinarian, and there are many other vets that recommend it as well. Many pet owners that posted reviews stated that their vet recommended it to them. Most pet parents that gave this product a negative review, and there weren’t many, didn’t enjoy it because their dog didn’t seem to like the flavor. Like humans, every dog has their own taste preferences, but in general most dogs loved it as much as Chloe. Below are the top 3 most helpful customer reviews. Read all Amazon reviews here. As I mentioned earlier, Chloe’s breath is still pretty rank. It’s hard to tell if the toothpaste has made much of a difference, as her breath has been horrible since we adopted her. Due to the severe state of her oral hygiene, it’s likely that there isn’t a product on the market that would help her breath , but it’s hard to say for sure. Another drawback to Sentry Petrodex Enzymatic Toothpaste for Dogs is that it only comes in one flavor. When I hear that something is poultry flavored, I assume it smells similar to chicken broth. This toothpaste smells nothing like chicken broth. It smells completely unappetizing to me, but both of our dogs love it. If your pooch doesn’t care for poultry flavor, you could check out Virbac C.E.T. Enzymatic Toothpaste as it comes in five flavors. Nylabone is one of the most well-known makers of oral care products for dogs. Nylabone Advanced Oral Care Tartar Control Toothpaste supports healthy teeth and gums when used on a regular basis. It also helps to get rid of the bacteria that causes bad breath. You can purchase this toothpaste on amazon for about $4, but for an additional $2 you can also get it in a dental kit that includes a soft bristled, angled toothbrush and a finger toothbrush. This formula includes Denta-C, a scientifically formulated blend of ingredients, including Vitamin C, that the company says have been scientifically proven to reduce plaque. It also contains chlorophyll, a natural, safe detoxifier that is commonly found in plants. The combination of chlorophyll and Denta-C is referred to as a “power duo” by Nylabone. They say this combination leads to whiter teeth, healthier gums, and an all-around healthier dog. Consumers seem to agree. This is another product that can also be used on cats, so it’s ideal for a multi-pet family. The Tartar control formula has a sweet dog bone flavor, but if that won’t entice all the animals in your home you could try the peanut flavor. 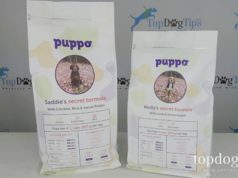 They also have a special senior formula that is formulated with extra calcium for aging dogs. These are not the only recommended toothpastes available to pet parents. Arm & Hammer Advanced Care Tartar Control Toothpaste is another great option. Of course, Arm & Hammer is known for their use of baking soda in cleaning and personal hygiene products. They make many great types of toothpaste for humans. They are also known in the pet industry for making one of the best toothpaste for dogs. This is another enzymatic toothpaste with a taste that dogs seem to really enjoy. This canine toothpaste from Arm & Hammer uses enzymes to break down and help prevent tartar buildup. The added baking soda whitens and brightens your dog’s smile, as well as cleans and deodorizes his teeth, gums and mouth. This is a great all-over toothpaste for preventative care. This toothpaste is beef flavored, but many pet parents complained about its odor. They also said that it didn’t do much to help their dog’s bad breath, but it did clean their dog’s teeth and make them noticeably whiter. If you can tolerate the strange “beefesque” smell, this toothpaste will do what it is supposed to do. EZ Dog Pet Toothpaste is another brand that uses a small amount of tea tree oil in their product to promote healthy gums. As I mentioned before, this is perfectly safe for your pet, but if you have concerns speak with your veterinarian. This dog toothpaste is also sweetened with Stevia, a natural herb . The vanilla flavor is a surprising hit with dogs. Many pet owners commented on how much their dog loves the flavor. I wouldn’t think vanilla would be a very attractive flavor for dogs, but the reviews have proven me wrong. This is also a non-foaming toothpaste that does not require rinsing. EZ Dog pet toothpaste is made in the United States, and it is an all-natural, sugar free product. A lot of dog owners that have used this product for years say that it makes their pet’s breath smell fresh and clean. However, they also mention that it isn’t as thick as some other canine toothpaste products. Some consumers didn’t like this as it caused the toothpaste to run down the brush instead of staying on top of the bristles. Speaking of all-natural products, Nutri-Vet Enzymatic Canine Toothpaste is another great option. It is a non-foaming, no rinse toothpaste as well, and it comes in a yummy chicken flavor that most dogs seem to enjoy. Consumers who tried this product were impressed with how well it polished their pets’ teeth. One thing to mention is that the Amazon description of this product says that it is made in the United States, however, after receiving the product some concerned pet parents noticed that it said made in China. Information from the Nutri-Vet website does state that it is made in China NOT the U.S. Due to a large amount of recent pet product recalls on products made in China, many pet parents are skeptical about using products that are manufactured in the country. If you’re okay with the out-of-country origin of this product, it does seem to work very well. Although Nutri-Vet products are formulated by veterinarians, you wouldn’t know that by the price. Typically, vet formulated pet products run about 25-50% more in price than traditional products. Nutri-Vet Enzymatic Canine Toothpaste can be purchased for about $5 for a 2.5-ounce tube. That’s comparative to most other similar products. If your dog won’t let you brush his teeth, but he will let you near his mouth, you may want to try Tropiclean Fresh Breath Clean Teeth Gel. All you have to do is add two drops of this gel to each side of your dog’s mouth once each day. It’s made with 100% natural ingredients, including green tea. All the ingredients are sourced in the United States as well. The company uses decaffeinated green tea leaf extract because it works as a natural source of fluoride. It helps to fight bacteria that cause plaque, tartar, gingivitis and bad breath. This product from Tropiclean will also aid in soothing minor gum irritation. Although dog owners who tried this product do say that it works well, the majority also believe that it works best when paired with brushing. The gel helps to break down the plaque and tartar, but dog owners said that they noticed faster results when they applied the gel directly to the teeth with a finger brush. Not all consumers used a brush, but for the best results it is quite clear that you should still use a dog toothbrush to apply this gel. Most puppy parents don’t think much about their fur baby’s dental hygiene. First of all, puppies are born with nice shiny, clean teeth. Sometimes things slip your mind if they aren’t readily noticeable. Also, puppy teeth fall out by about 6 months of age, so many pet parents don’t think about oral care until their pet has his permanent teeth. According to the Humane Society of Missouri, puppies do not usually have problems with their teeth . However, this doesn’t mean that you should ignore brushing your dog’s teeth until he is 6 months old. Training your puppy to sit still while you brush his teeth will be much easier than trying to train an older dog to do so. While working on the rest of your pup’s behavioral training, you might as well train him to allow you to care for his teeth. One thing to remember is that puppies have much smaller mouths than older dogs – even large breed pups. A standard dog toothbrush may be too big for your puppies mouth and could cause him pain. The Petosan USA Puppy Dental Kit for Oral Care is the perfect solution. Petosan Dog Toothpaste is made with an artificial poultry flavor and contains no animal products or animal by-products. The kit includes a toothbrush fit for a puppy, a cleaning cloth in case your pooch isn’t ready for a brush just yet, and Petosan USA puppy toothpaste. It also includes a cute puppy-shaped carrying case to store the toothpaste and brush in. It may seem silly, but the case is actually great for reducing clutter and keeping everything in one place where you can find it easily. This toothpaste is designed to be used every day. It contains pyrophosphates , which are used in toothpastes as an emulsifier, a buffer and a detergent aid. It’s known as the “tartar control” agent as it removes calcium and magnesium from saliva, so they cannot be deposited on the teeth. It’s important to get a puppy toothpaste that tastes good, because if you turn your pet away from tooth brushing now it will be very hard to get him to come around to the idea in the future. Using a tasty product, like this one from Petosan USA, may be just the incentive you need to get him to let you into his mouth. The prevalence of dental disorders in dogs is constantly growing . As more research is done on the link between periodontal disease and other health issues, we are sure to see a large growth in veterinarian’s efforts to educate pet parents on the importance of regular oral care for dogs and cats. With this growth in education, we will certainly see the release of many new products. Don’t be fooled by oral hygiene products that say they work as well or better than brushing. Consult your veterinarian first, and she will surely tell you that nothing is as good for your pet’s oral hygiene as brushing with toothpaste that is specifically formulated for dogs. We may even see developments in oral care that will lead to the creation of new, more advanced canine toothpaste options. I mentioned many enzymatic toothpaste products on this list. There was a time when enzymes were not used in toothpaste, but research proved they would be beneficial. As more studies are done on canine dental health we will probably be seeing additional ingredients being added to make dog toothpaste more effective. Much like toothpaste made for humans, all dog toothpastes are not made equally. Also, remember that you should NEVER use toothpaste that is formulated for humans on your dog. Be mindful of the ingredients, and if you’re in doubt speak with your veterinarian. She will surely have some suggestions of top quality dog toothpaste that will promote proper oral health for your pet. When a client asks me how long their puppy will live, I usually respond 15-17 years if you brush their teeth daily… 11-13 years if you don’t. If that doesn’t convince you that you should be brushing your pet’s teeth on a regular basis, I don’t know what will. I’m sure a quick conversation with your personal veterinarian would garnish the same advice. Staying on top of your pet’s oral hygiene isn’t just good for your dog’s mouth and teeth; it’s good for his entire body. Photos of Sentry Petrodex Enzymatic Toothpaste for Dogs and the video review of dog toothpastes by Samantha Randall © Top Dog Tips. All rights to content are reserved.